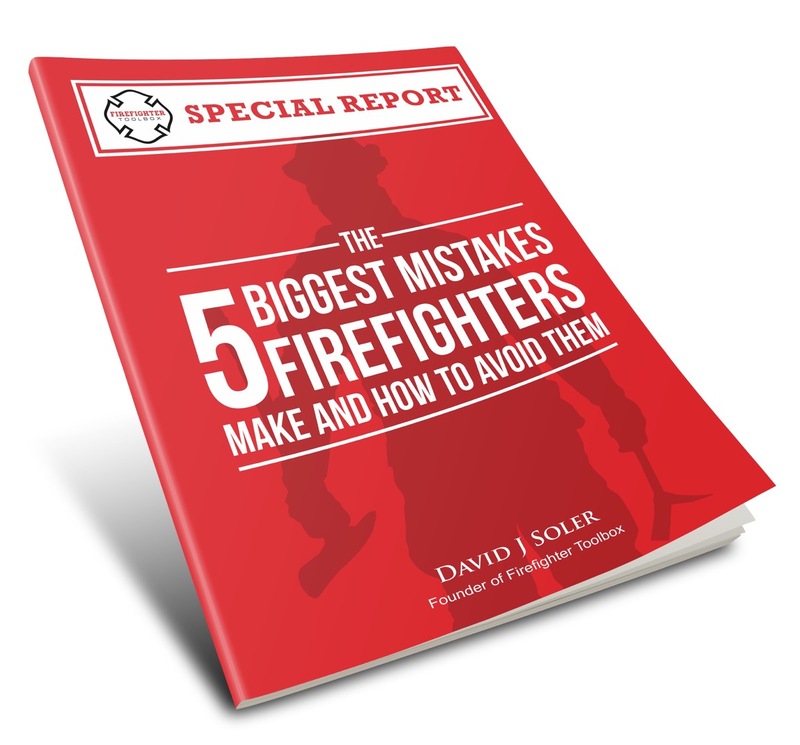 The second worst mistake is allowing force to transfer through the knees during lunges and squats. The reason this is so high on my list is because your knees are so important to spare! Arthritis is the most common chronic disease in the United States and the knee is the most commonly affected joint. So be nice to your knees! When doing a lunge or squat, your body’s natural tendency is to shift the weight forward, which brings your knees forward. This is because your body will always go along the path of least resistance. In other words, shifting your weight forward makes the exercise easier. Obviously you don’t want the exercise to get easier, because that means you’ll have to do more repetitions to get a good workout. What a time waster! My philosophy is to do the exercise in the hardest way possible – that way you get the most bang for your buck in terms of your time. But the biggest reason you don’t want your knees coming forward is because that shoots all the force production right through the knee cap. That unnecessarily puts a lot of stress on the knees and can lead to overuse, pain, and eventually arthritis. Instead, you want to shift your weight back, so your glutes are doing all that work – which is the idea. Think about it, nobody ever said they wanted big buff knee caps! 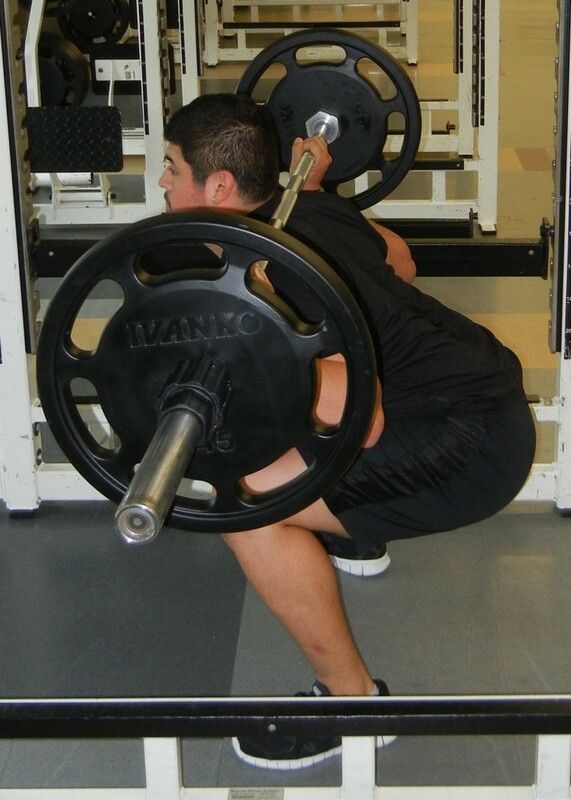 The picture below shows the all too common tendency to shift the knees forward during a squat. An example of poor form, with the knees shifting forward during a squat. A good squat will feel as if you’re trying to sit back in a chair. Rather than using a bar, I typically recommend doing squats holding hand weights in front of the body since it reduces both the tendency to bring the knees forward and to break a neutral spine (bad for the back). Watch your form in the mirror without weight to make sure you have perfect form. You should be sticking your glutes out and the knees should barely be moving forward at all. The picture below shows a good lunge. You should try these looking at yourself sideways in front of a mirror and make sure your knee stays put right over the ankle. When I coach people to do a lunge, 9 people out of 10 do not keep enough of their weight on their back foot. If you do them without shifting your weight forward, they will feel difficult even without holding weights. 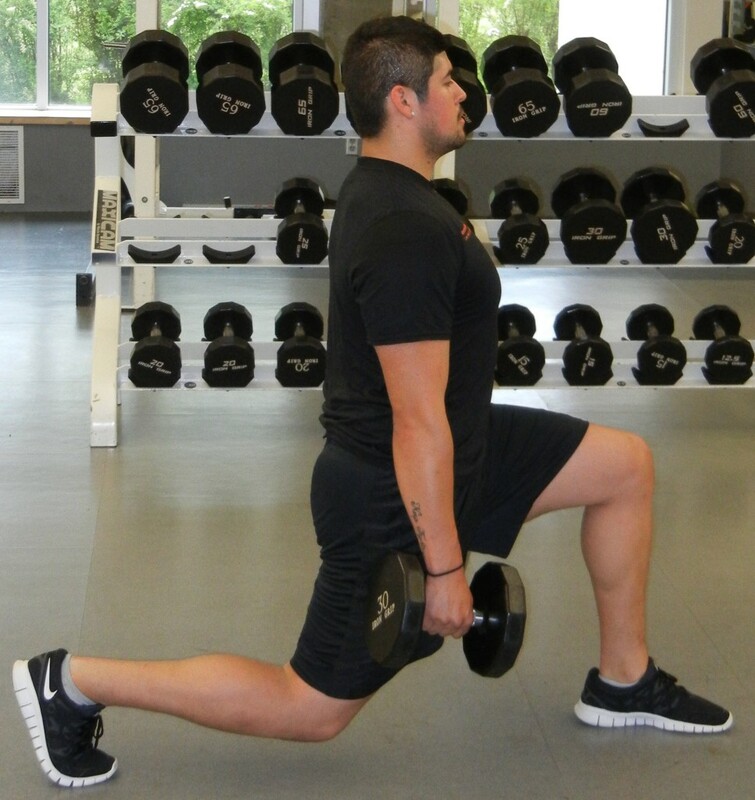 Proper form for a lunge: front knee above the ankle, enough weight on the back foot.